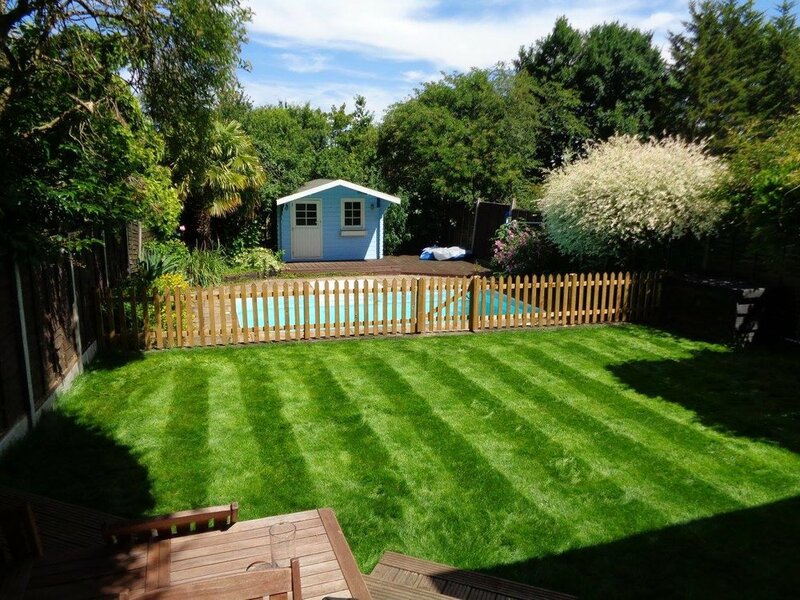 Laying glorious new lawns is our thing…and we’re very, very good at it!! Over the years we’ve been creating and maintaining gardens, we’ve had the opportunity to create some great spaces and the one element that has the most impact is the lawn. At Green Elite we have access to a selection of turf types, from the more economical range right through to the higher end, more expensive option. This allows us too work to pretty much any budget. However, regardless of budget, we put the same amount of care and attention into laying a new lawn and pride ourselves on leaving you with a fantastic new lawn that, with the right care, can last for many years. We take great care with ground preparation prior to fitting a new lawn and also make sure that the right type of irrigation has been installed to keep the lawn fresh and always looking its best. Laying a new lawn can bring a tired garden back to life. It provides an injection of colour, texture and tidiness to revive old lawns. To make sure your new lawn retains its natural beauty, Green Elite also can help maintain it with regular cutting and treatments. This can be discussed at any time throughout your project. Interested in laying a new lawn?